Welcome to crosshairtools.com! If you want to find the best cross hairs for playing, this is the place for you! We’ve put together a huge set of professional CS:GO players’ cross hair settings and the kind of computer hardware that they use from around the world. The perfect cross hair can be very subjective, but can give you a playing advantage so try different ones out! All in One Compatible RAZER Chroma Eco-system Bundle + RAZER Synapse 2.0, with incredible amount of technical tracking data provided by Razer Synapse: Stats and Heatmaps, this allows you to tweak your Razer Chroma set to your individual play style and improve your accuracy by leaps and bounds. 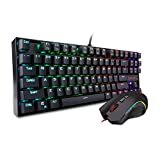 RAZER Blackwidow Chroma RGB Gaming Mechanical Keyboard was first launched in 2010 and quickly became the most popular and highest selling gaming keyboard worldwide. Four years later, the RazerTM Mechanical Switch was introduced, giving the Razer an even greater advantage with the world's first mechanical switch designed from the ground up By redefining the limits of performance, this elite mechanical gaming keyboard left the competition in the dust, even faster than before. Razer DeathAdder Chroma The World's Best Gaming Mouse, Perfectly designed to fit snugly under your palm, the ergonomic shape of the Razer DeathAdder Chroma gives gamers the most comfortable gaming experience ever. Together with its rubber side grips, the Razer DeathAdder Chroma keeps you in control for extended gaming sessions.The Razer DeathAdder Chroma is equipped with a 10,000 dpi optical sensor, capable of mouse movement speeds of up to 300 inches per second* and 50g acceleration. RAZER Goliathus SPEED Edition Soft Mouse Pad Medium Engineered to exceed the exacting demands of the world's top professional gamers, the highly-adaptable Razer Goliathus gaming mouse mat is optimized for all mouse sensitivity settings and sensor types, with a rubber base for secure grip on smooth surfaces. Lab-tested by Razer and field-validated by the best in eSports, the Razer Goliathus Speed Edition provides a slick and seamless surface for zero-hindrance gliding under gaming-grade mice. 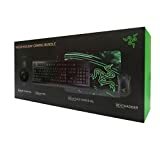 RAZER SYNAPSE ENABLED BUNDLE - Razer Synapse is the cutting-edge proprietary software that allows you to perfectly calibrate your mouse and mouse mat. The Surface Calibration feature ensures the mouse will learn the specific surface's texture, color, and distance from sensor, ensuring even quicker and more precise in-game responses.